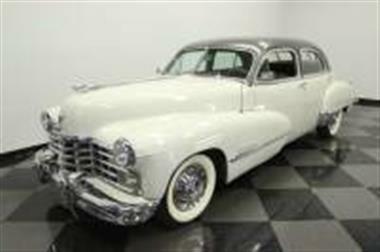 1947 Cadillac Other in Lutz, FL for sale. 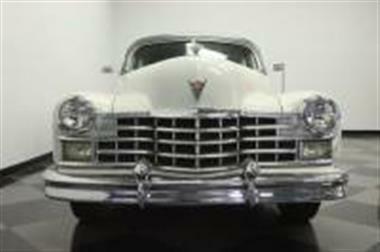 Theres an upper echelon of early post war classicsand#44; and this 1947 Cadillac Series 60 Special Fleetwood is right there on top. More expensive than the standard Cadillacand#44; these were a rare treat with only 8and#44;500 produced. 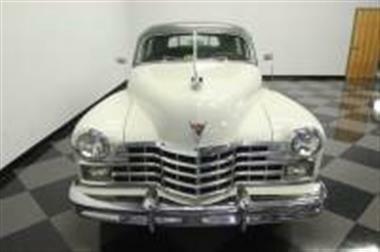 So if you are a true connoisseur of classics you understand how few have survived in such good condition 70 years later.<br /> <br><br> If you know Cadillacsand#44; then you know how special it is to have a Fleetwood body from this era. Special door line profileand#44; window moldingsand#44; and trim transformed the standard Series 62 body into something truly special. 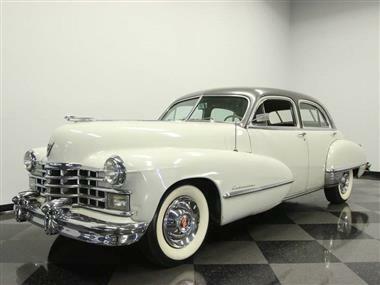 And the Fleetwood script on the rear was another clear indicator that you were a big shot who could spend 25% more on a Caddy. Today that affluence is still presented quite nicely with amazing and complete brightwork. 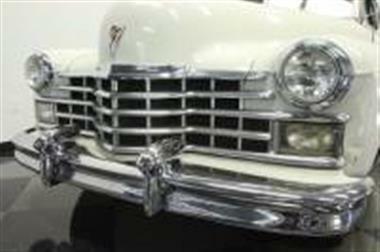 The massive grille makes a bold statement as it follows the contours created by the tall hood and long fenders. The wraparound bumpers shine to a level that it makes sure this sedan leaves a lasting impression. And the details are even rightand#44; tooand#44; like the factory wheel covers and the taillight housings that hint at the tailfin era that was right around the bend. 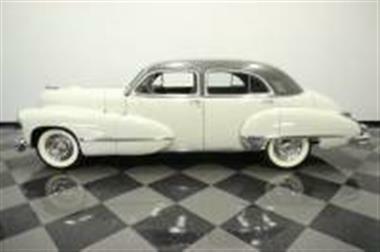 With all of this presenting so complete and brightand#44; this Cadillac has never lost its regal image. The final piece to this attractive package is the white and gray two-tone. This is the result of an older resprayand#44; so some might get the impression you have an amazing survivor – and we wont tell your secret. <br /> <br><br> When you open the doorand#44; you instantly understand what the luxury lifestyle was in the 40s. Button-tufted seatsand#44; matching door panelsand#44; and so much room on the sofa-like rear seat that you even get fold-down footrests. Youll slip behind the ivory-colored steering wheeland#44; and gaze at the original gauge package thats backlit. 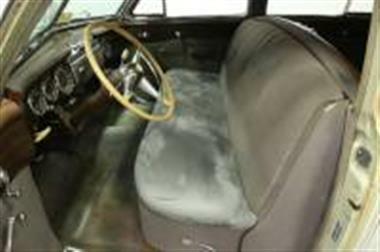 This is set in a wood veneer surface that circles the entire front and rear seating areas for a very uniform and premium feeling that was not on many other 1940s machines. One of the features that you will probably enjoy the most is how nothing is missing. There isnt a hole where the radio should beand#44; the glove box lid isnt goneand#44; or any other detail left out. Theres even the original Cadillac ID card in the kick panel! It all gives you the full appreciation for a vintage luxury sedan like this. 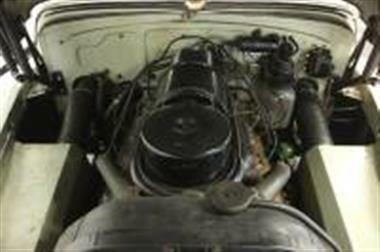 <br /> <br><br> Power comes from Cadillacs famous 346 cubic-inch flathead V8 – this was the motor they crated for such durable use that it was also a favorite for tanks in World War II. Because of thisand#44; the engine and optional Hydramatic automatic transmission received numerous updates when peacetime production restarted. This period-correct motor looks exceptionally honest in the engine bayand#44; so there is some talk of it being original. Even better is just how reliable and strong the V8 runs. This is a torquey motor that knows how to pull this Caddy around with ease. Plusand#44; the soft suspension and more modern Coker whitewall tires really help keep this luxury floating down the road.<br /> <br><br> A rare vintage sedan with presence and power to make a splash wherever it goes. This is an appealing Caddy Fleetwoodand#44; and if youre quick enoughand#44; it can be all yours. Call today!! !